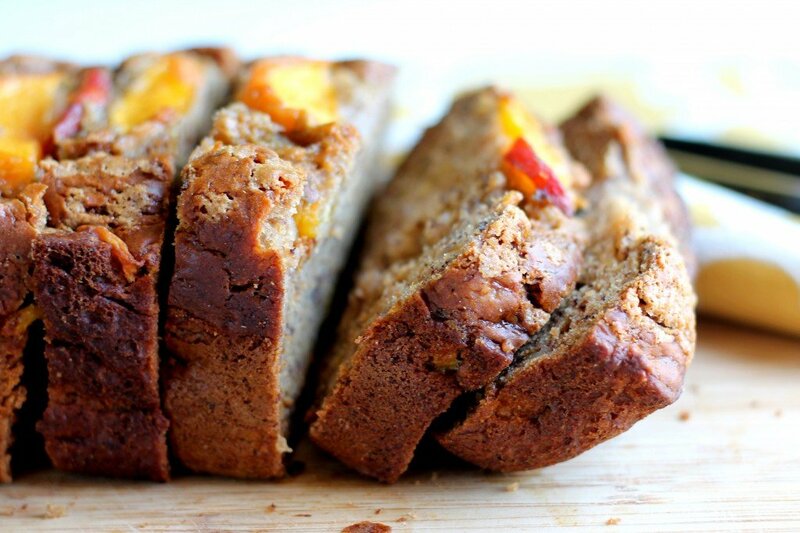 49 Responses to "Low-fat Cinnamon Peach Banana Bread"
That looks really delicious! 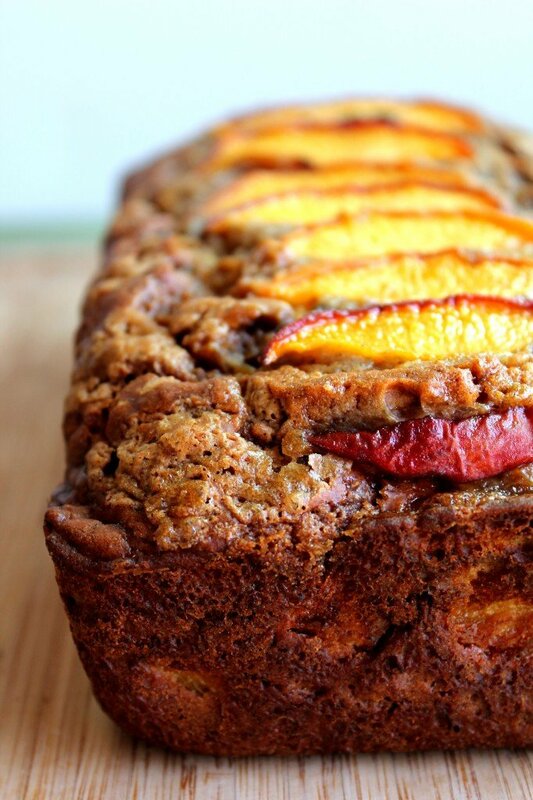 Banana bread is such a classic, and the peaches give it the perfect summery twist. Very nice! 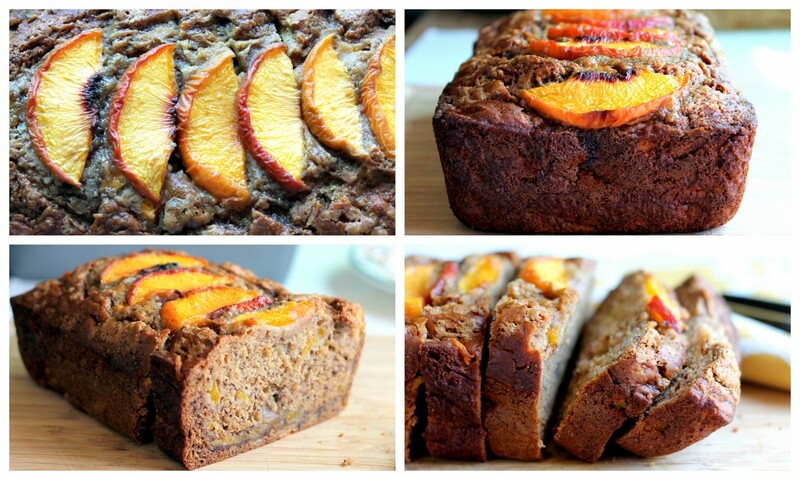 I love how you put the sliced peaches on top of the bread! This looks delightful! 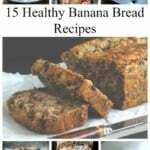 I also like the below banana bread recipe. Just wanted to let you know I made this last night (used a necatrine instead of peaches because that’s what I had on hand). It was awesome!!!! Thank you so much for a great recipe! My girls and husband loved it too! Whoa! Way too much baking soda. I'll have to try this again with only 1 tsp. Looks pretty , though. it calls for less than that doesn't it? Tonight is the last night of summer here in Australia and with end of summer blues and an abundance of peaches – what better to make?! can I subsitute greek yogurt with regular vanilla yogurt? because greek yogurt is strained which means more water from the yogurt, making it more dense, firm and creamy. so if i use regular would the texture be different? 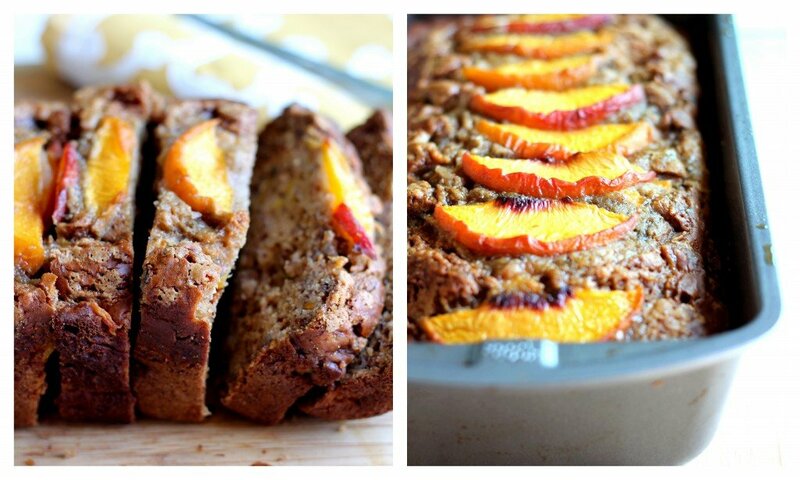 Had an overabundance of peaches in my kitchen and needed to find something to make fast! 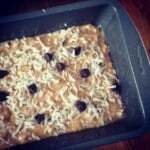 You’re my go-to blog and I was super excited to find this recipe. Just made the bread this morning and I have to say it is YUMMY! Super moist and sweet. LOVE it!! I can't wait to make this bread as peaches and pears are my favorite fruit and peaches are my favorite smell. Thank you for the recipe. I disagree with the commenter who said that there was way too much baking soda. What I’m not clear on is if the 1 tsp of baking powder in the recipe is a typo or not. Nowhere in the instructions does it say to combine the baking powder into the dry ingredients, so I left it out in the event that it was indeed a typing error or not. Right now I’ve got this loaf baking in the oven and it smells lovely. It’s already at the halfway point and seems to be rising steadily but will know for sure at the end. Add it with your dry ingredients 🙂 I’ll be sure to add it to the directions – thank you! 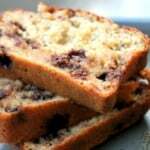 Would it be possible to make this recipe into muffins instead of a loaf? Definitely! 🙂 Bake time would be anywhere from 15-20 minutes, I’m guessing! Yes you can. You might want to add a little more butter or oil. Yes – another tablespoon would be good. Yummy!!! I love peaches and bananas! For dairy free….what can be used in place of Greek yogurt? I know this is an old post , but wanted to tell you I just made this today into muffins and it turned out perfect, nice fluffy and delicious! I did use a plain non fat regular yogurt no problem with substituting, it took about 30 min! Love your blog, it’s my fist time here ! 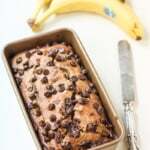 This banana bread was delicious! 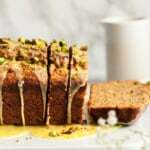 I have one banana bread recipe that I love, and no other banana bread recipe I found could rival it. Until now! I’m making another loaf today to use up the rest of my peaches. Thanks for a great recipe! 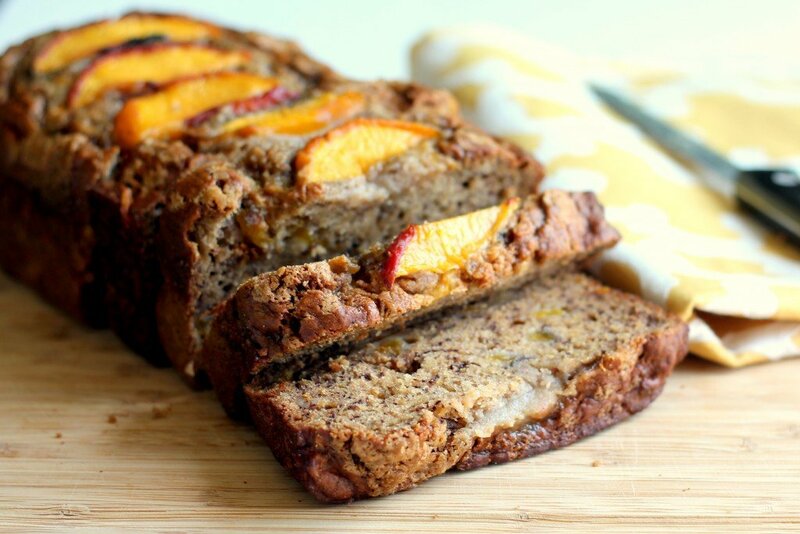 I tried this recipe for the first time, was looking for a way to spice up my banana bread recipe and adding peaches was the way to go. So i’ve used whole wheat flour combine with coconut flour…and since coconut flour absorbs more liquid I added a bit more Greek Yogurt (plain & vanilla). I also substituted the brown sugar for 1/3 cup honey instead. I wish I had walnuts or almonds to add on topping … but all in all, was really satisfied with this recipe! The only reason I can’t give this 5 stars is because, as another commenter mentioned, the ingredients list contains both baking soda and baking powder, while the directions only include baking soda. The other commenter only put baking soda and seemed to indicate it would come out great; I put both in and it came out great. Still, clarification in the recipe is needed. Otherwise, a fantastic go-to bread! 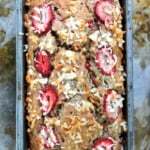 Most of Monique’s baked goods recipes are done at the lower end of the time frame given in my oven, but this one is very moist and needed the whole time. 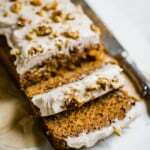 Can you freeze this after you bake it?